frequency chart. The video excerpt plays in the working frame. clicking the pause button as needed. 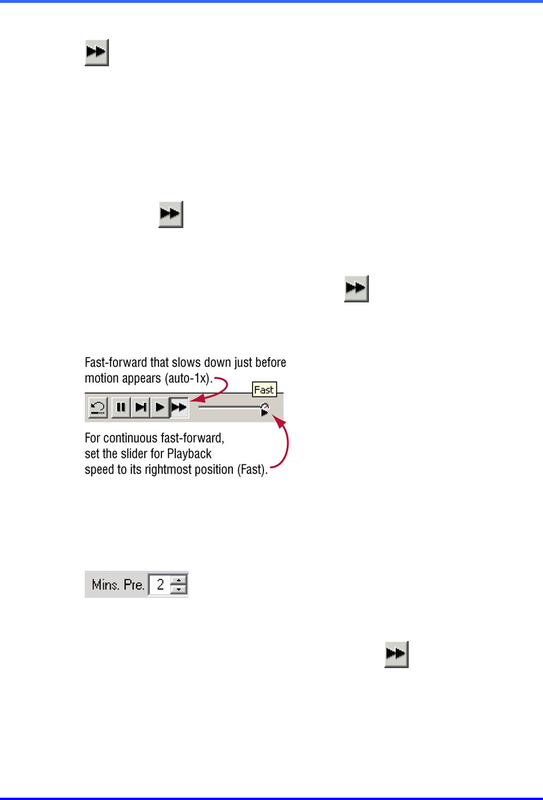 • Set the slider for playback speed to its rightmost setting (“Fast”). See figure 48. Mins. Pre. (minutes of viewing, prior to detection) box. See figures 49 and 47. 1. After obtaining a motion search report, click in the Mins. Pre. box.